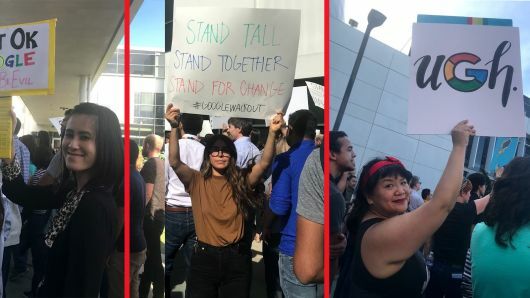 Google employees were protesting their workplace culture, which they felt had protected sexual harassers if they were senior-level executives. From a company with the motto “Do No Evil” and a parent company, Alphabet, with the slogan “Do the Right Thing,” they expected much more.Their demands to the company were basic: Improve transparency in reporting on sexual conduct, end pay and opportunity inequity, and elevate the position and authority of the chief diversity officer. It’s a major bottom-line issue. An Accenture study has calculated a perceived material loss of trust from stakeholders, including employees, had cost more than half of the 7,000 companies across 20 sectors analyzed as much as $180 billion in revenue. The study defined “trust” as encompassing consistency, integrity and transparency. It’s déjà vu, all over again. A stand taken by some admittedly privileged employees at one admittedly unique company will inevitably spread throughout businesses of all types, in all sectors. Values in the workplace are here to stay.